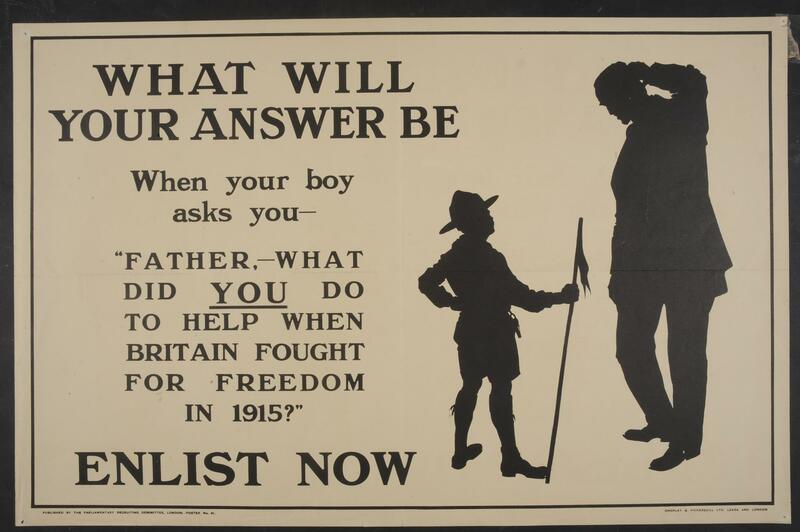 First World War recruitment poster; 'What will your answer be when your boy asks you 'FATHER, - WHAT DID YOU DO TO HELP WHEN OUR EMPIRE FOUGHT FOR FREEDOM?'' Published by the Parliamentary Recruiting Committee, London; poster no.61. Classic recruitment poster, using the threat of generational shame you will bring to your children if you don't enlist and fight.